Feature Story I - Gold Rush! "Gold Rush" is the incredible, but ultimately tragic and mysterious story of Teddy CULLINANE's experiences in the Yukon Gold Rush. The picture above is of a gold tiepin (c1906), gifted to my great grandmother Julia CULLINANE, by Teddy - her brother. The pin is of a horse-shoe with a miners winch cradle and bucket, it is stamped "Dawson 14k" on the reverse. This website publishes my genealogy research centred on my STANTON family in the UK. There are a host of additional surnames linked to my family, both in the UK and around the world. The surname cloud below shows you the most common. "In Service" is the transcript of a recording made in December 1976. The conversation is between Annie May Thorne (nee Stanton) (nee Heath); and her daughter-in-law (my grandmother) Ruby Cullinane Stanton. 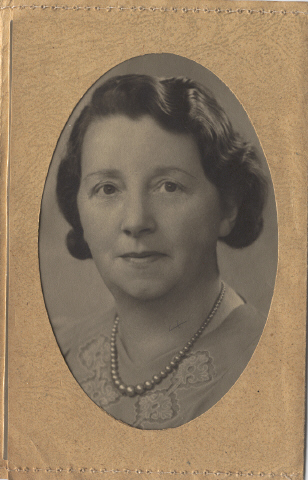 The conversation traces Annie May's early life from early 1900's Bristol, and memories of the end of the Boer War; to her time "In Service" as a domestic servant in St. Ives (Cambs) and London, until her return to Bristol c1910.